Along with the Taj Mahal in India and the Eiffel Tower in France, the Great Pyramids in Egypt are probably one of the world’s most iconic and famous tourist attractions. Of those, the Egypt’s pyramids in Giza are by far the most ancient, having accumulated centuries worth of myths, mesofacts, and some intriguing conspiracy theories along the way. Having formally studied anthropology I can attest to the fact that the archeological record tells us a lot about the these famous pyramids, most of which the public has gotten wrong over the years. These are some of the most prevalent misconceptions about the pyramids, several of which you might have yourself, and a few I learned about during my time in Egypt. This is by far the most widely held belief people have about the pyramids that isn’t true. This rumor likely got started by Greek historian Herodotus (~484-425 B.C.) 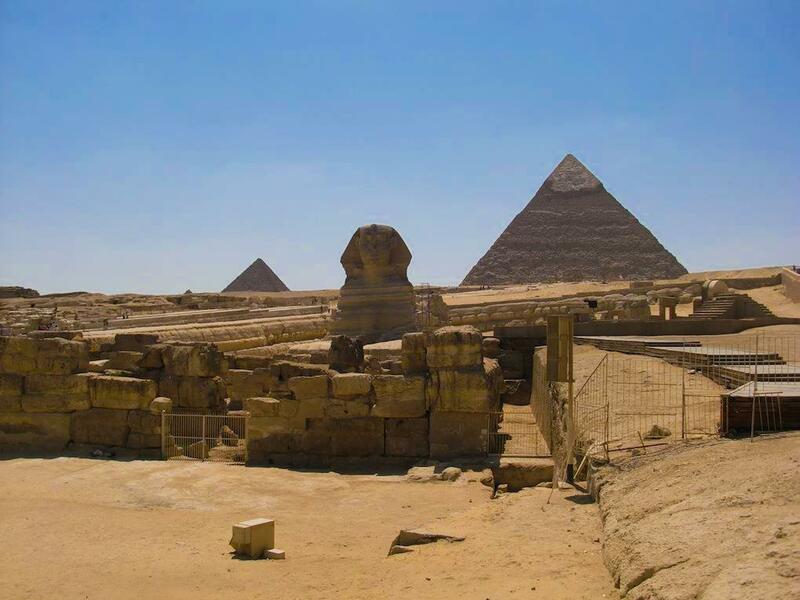 who visited the site of the Great Pyramid in 450BC. All current evidence now shows the Pyramids were built by skilled laborers, working on a national project, well fed, exempt from taxes, and often buried honorably in tombs around the construction site. Again it was Herodotus who first waved this figure around (although there is some debate in the translation of his exact words), but current estimates are somewhere around a workforce of 10,000. That’s 2,000 rotating skilled workers, 3,000 manual laborers, and 5,000 more men and women to support the infrastructure needed to feed, house, and maintain such a huge workforce. Although it’s become colloquial to refer to the Pyramids in Giza as “The Great Pyramids” there is in fact, only one Great Pyramid. 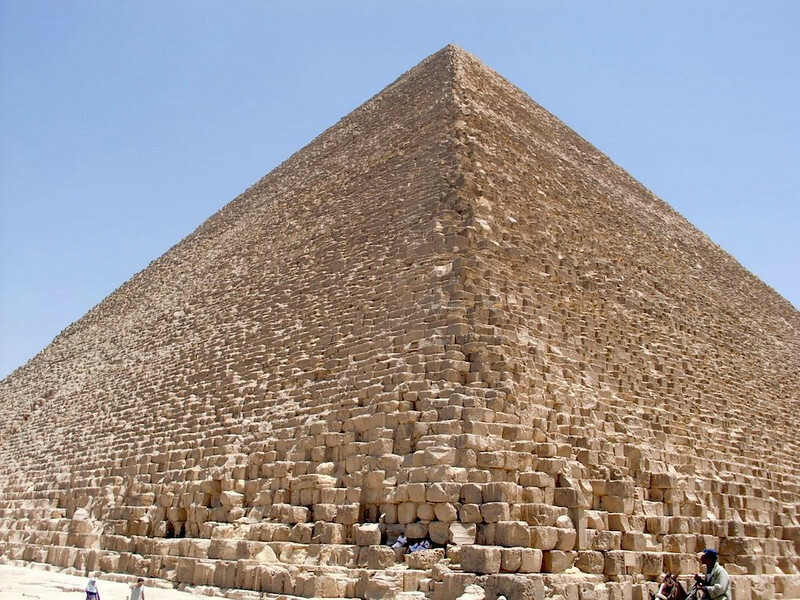 The “Great Pyramid Of Giza” (also known as the Pyramid of Khufu or Cheops) is the largest pyramid of the 3 within the Giza Necropolis. Many people confuse what “Giza” actually is, often thinking it is a proper name relating to Ancient Egypt. Giza is Egypt’s third largest city and where the Pyramids, Sphinx, and 2.8 million people are located. A close metro or cab ride from Cairo and part of the Greater Cairo metropolis, Giza is a separate city where the Pyramids now stand. Most of the photos taken of the pyramids in Giza are from a certain angle or from fairly close up, making them seem like they’re in the middle of the Egyptian desert. In reality however, they’re really on the edge of the sands and practically in a few people’s backyards. The pyramids are in fact, nearly two-thirds surrounded by city, and the Sphinx is facing a TGIFriday’s. While the 3 major pyramids and Sphinx are there as well, the Giza Necropolis consists of several other structures over a 2.25 square kilometer area. That area includes a permanent worker’s settlement, a number of cemeteries, and 6 smaller “Pyramid of Queens”. The entire area is a UNESCO World Heritage Site. Sort of, but technically it’s only the Great Pyramid of Giza that’s on the list that was created mostly by the ancient Greeks. 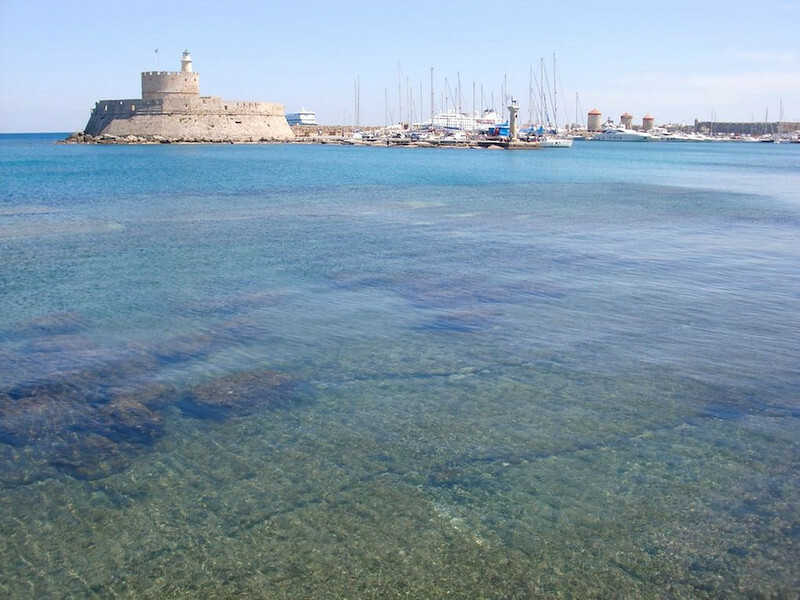 The Great Pyramid shares a spot as one of the 7 ancient wonders with Colossus of Rhodes but has the distinction of being the only one that has survived until today. In 2007 the Swiss company New7Wonders Foundation had a public poll to name the 7 new wonders. After a bit of controversy the Great Pyramid was added as the 8th (honorary) member, though since then they’ve quietly removed it the official list (but is considered a permanent member so far as anyone can tell). I, like most sci-fi nerds, love a good alien conspiracy theory. One that keeps floating around is that human beings alone, without modern machinery, could not have built the pyramids. Aside from the obvious proof that the pyramids are there and we have no evidence of alien contact with human beings ever, it’s easy to discern how the pyramids were built because many of the same construction methods are still used today. 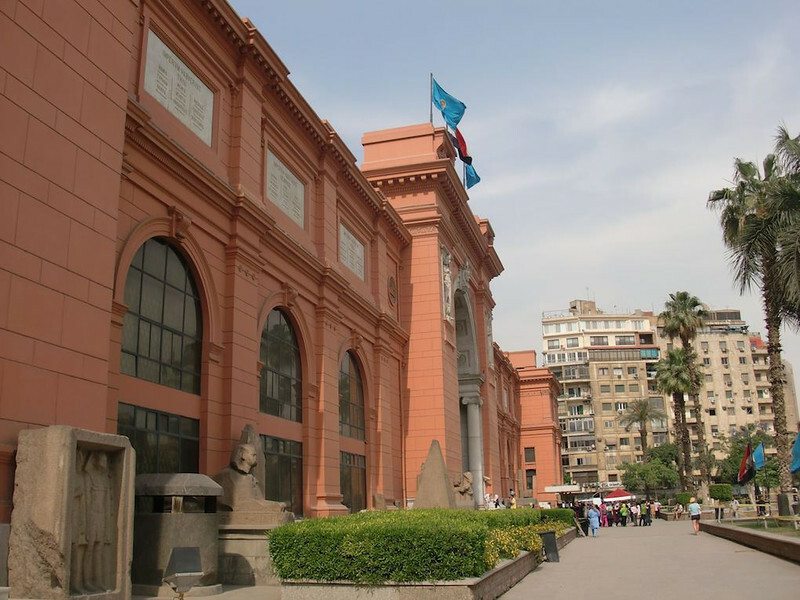 Both in Egypt and other parts of the world – not to mention by teams of scientists performing the labor themselves to determine the construction details. Though I have to admit, I’m rooting for aliens on this one. Aliens building pyramids – how cool could that possibly be if it were true? More interesting than teams of 20-60 men moving granite and limestone using levers and ramps – the currently held theory. It amazes me how much we still have to learn about human-made structures that have been on Earth for more than 4,000 years, though science is churning away at closing in. These Pyramids of Giza however are just a small percentage of the 138 pyramids that exist in Egypt, including 17 that were recently discovered by infrared images from orbiting space satellites. The Pyramids of Giza are a huge draw and part of Egypt’s tourism industry but are a quiet place these days. Since the January 25th revolution many potential tourists are wondering if it’s safe to visit Egypt, though the lack of crowds at the Pyramids made it a rare time to visit. PreviousHow Can I Protect My Online Accounts At Internet Cafes When Traveling? Amazing post to share immediately. I was taught that pyramids were built by slaves fed on onions and beer. I dug this post from the first line! Beer and onions sounds pretty good, haha, I’d help some aliens build a pyramid for that payment 🙂 Glad you enjoyed the post and thanks for sharing, I appreciate it! 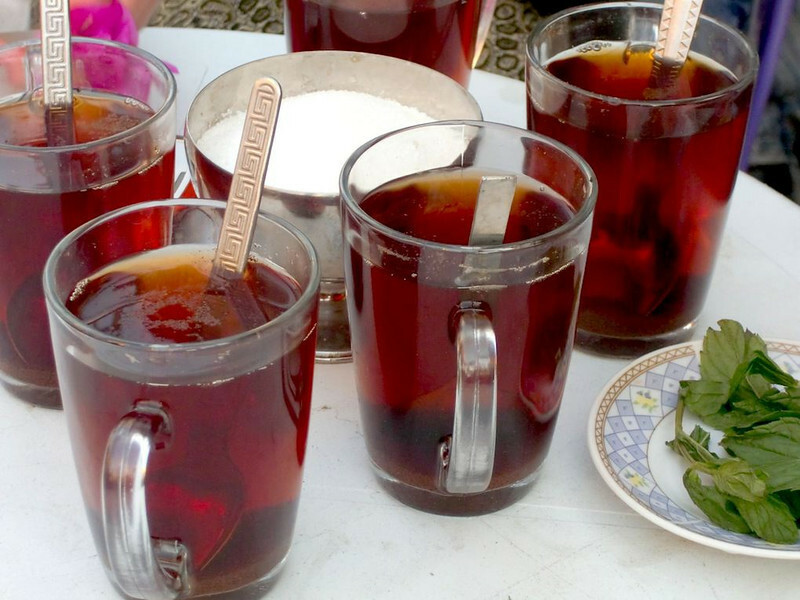 Fascinating & informative post! I especially would have never guessed the working conditions of the skilled laborers. A few people I read think the perception of terrible conditions was perpetuated primarily by the 10 Commandments movie, whips and all. As it turns out, it was probably quite an enviable position to have back then. I put my hands up and admit that I got some things wrong! Never heard number eight though and would not believe it if I had done. Aliens conspiracies tend to revolve around a number of ancient sites – either wishful thinking, overactive imaginations, or much more likely that many don’t give enough credit to our ancestors’ ingenuity. How did you get a clean shot of the Sphinx with no tourists??? Jealous of that photo. Really easy to do this past May; the revolution has really put tourists off of Egypt (down 35% at least from last year according to conservative estimates). I walked around for nearly 2 hours without seeing a single other foreigner; I literally had the Sphinx and Pyramids all to myself! I refuse to believe the last one too, why not 😀 Wonder what other monuments we could add to your alien tour?? Hi Nahia, thanks for the comment. The urban expansion I suspect is difficult considering the nearly 20 million population in the Cairo metropolis. It was a bit shocking yet interesting to see the pyramids so close to the modern world. I truly hope that Egyptians make the most of their impressive revolution and wish you all the best. Excellent post. We learned these same facts on our visit last year. No 5 surpised us the most. We could see them every day driving around the city! They were just the size I expected though. I wonder why the difference? Loved Cairo! 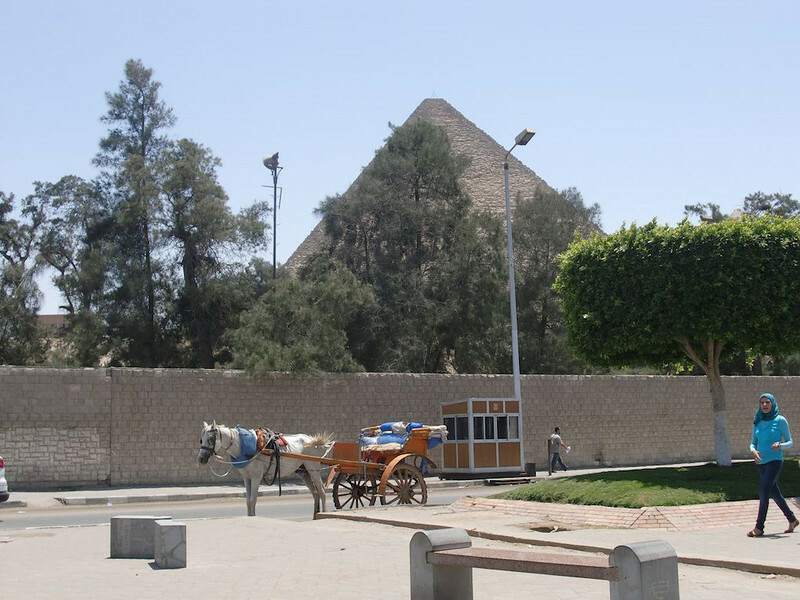 I remember hopping off the city bus and asking a microbus driver if he were going toward the pyramids – he turned around in the middle of a busy Giza street and pointed – I was shocked to see a huge pyramid right there! About their size, I think (personally) all of the talk about them being nearly inhuman to build had me believing they were larger in size. fascinating!! i am glad to learn all this – and share it with my egyptophile 9yo daughter! I’m deeply disappointed that the Sphinx faces a TGI Friday’s. …and a Pizza Hut. It does take away from the experience I must say. …and the Sphinx is facing a TGIFriday’s. Wow… quite interesting. Never having been there I find it quite curious and yet quite ordinary and something to be expected… these days. Also however it is a reminder that the ‘amazing’ is often right there in our backyards. Don’t Surrender Dorothy!! 🙂 a good conspiracy/alien theory not the first time I’ve heard it either! This was a very interesting post. I learned a few things about one of the sites I am looking forward to seeing for my self on my RTW trip. I do have to say I am rooting for Alien help on this one too. 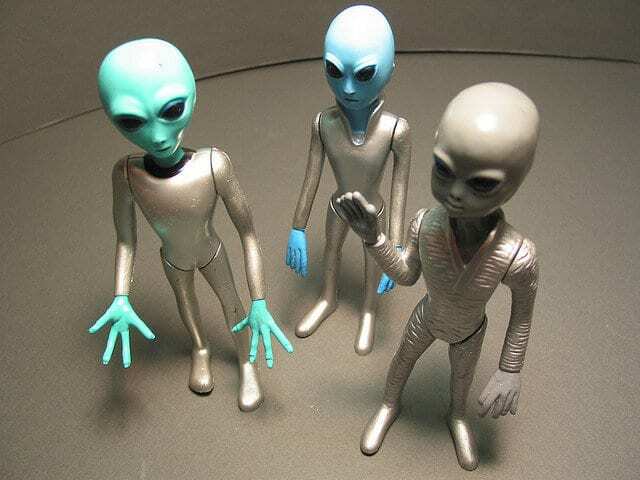 I so believe in aliens…lol!!! 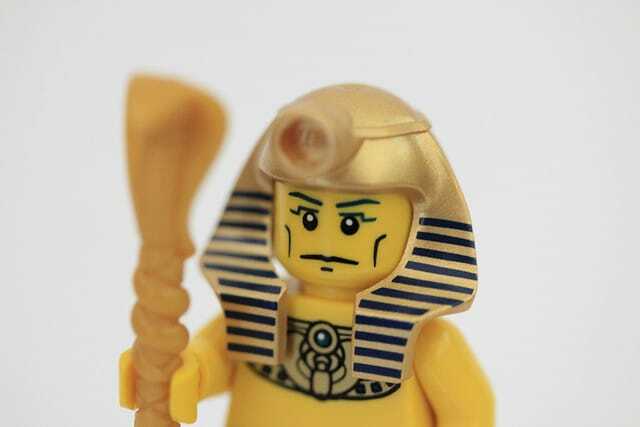 What don’t you like about Legos? Great post! I definitely loved my time in Egypt and visiting the pyramids. Unfortunately, hearing people next to me go “I thought they’d be bigger” was a bit of a buzz kill. I still thought they were giant considering when they were built!